Dandelion tea and milk thistle are both herbs than can help ease liver and gallbladder troubles. Although no evidence exists to explicitly warn against taking them together, you should check with your doctor before adding any herbal medication to your diet. If you have liver or gallbladder disease, you might need a more conventional treatment. These alternative medicine practices provide adjuncts to medical care, but they do not replace the advice of a doctor. Dandelion is a natural diuretic, which means it encourages water loss, but it is also high in potassium. This is unusual for a diuretic because most deplete the body of this important nutrient. It is often used to improve liver and gallbladder issues. You can also take this herb to improve your digestion or to stimulate your appetite. It has a mildly laxative effect, so it can help you move your bowels. Some animal studies show that it can help with diabetes and cholesterol, as well, but more studies on humans are needed before a recommendation is made. 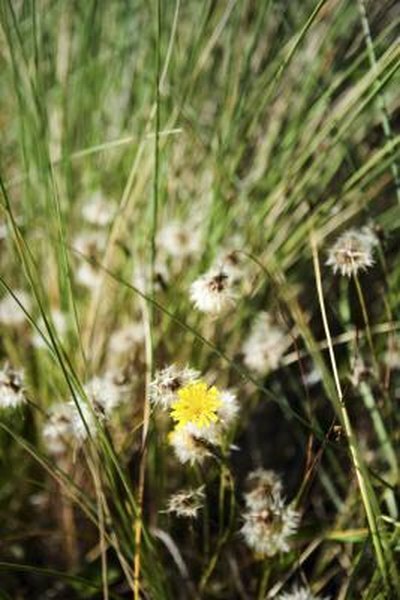 The standard dosage for dandelion tea for a dried leaf infusion is 1 to 2 teaspoons three times per day. Steep the leaf for 5 to 10 minutes in hot water and drink as directed. It is possible to have an allergic reaction to dandelion, and the development of mouth sores is also possible. If you are allergic to ragweed, chrysanthemums, iodine and daisies, among others, you should not take dandelion tea. Some also experience heartburn and skin irritation, if it comes in contact with the skin. Prescription drugs that interact with dandelion tea are the bipolar medication lithium, the quinolone antibiotics and antacid medications. Milk thistle is used primarily to help support the liver and gallbladder. Many use this herb for liver damage caused by alcohol, but studies are mixed in its effectiveness, according to the University of Maryland Medical Center. Studies are similarly mixed in the treatment of viral hepatitis. However, some early test tube studies have shown that milk thistle has some promise as an anti-cancer herb. These studies need follow up in humans to make a more firm recommendation about milk thistle. The recommended dose of milk thistle is 280 to 450 milligrams per day in divided doses. However, milk thistle works best when taken as a complex with phosphatidylcholine. In this case, a dose of 100 to 200 milligrams two times per day is recommended. Some side effects include stomach upset and diarrhea. You should not take this herb if you have a hormone-related cancer, such as breast or prostate cancer. Drugs that interact with this herb include antipsychotics such as haloperidol, the anti-seizure drug phenytoin, the anesthesia drug halothane, the allergy drug fexofenadine, the statins, anti-anxiety drugs such as alprazolam, blood thinners such as warfarin and some cancer drugs.